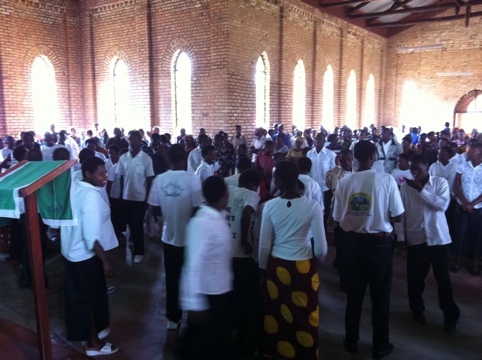 Sunday was the culmination of the week for us: the joy, the worship, the dancing was electric as we gathered at Kigeme Cathedral. 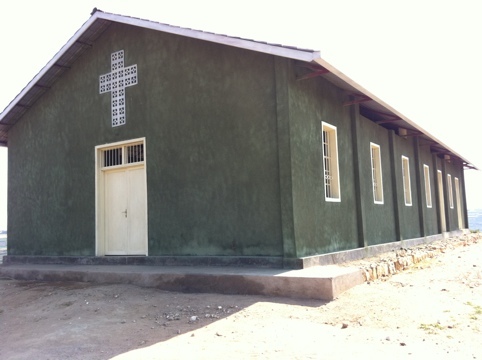 I preached there on Titus Chapter 3, sharing about my Grandfather Vic Hird’s coming back to faith. 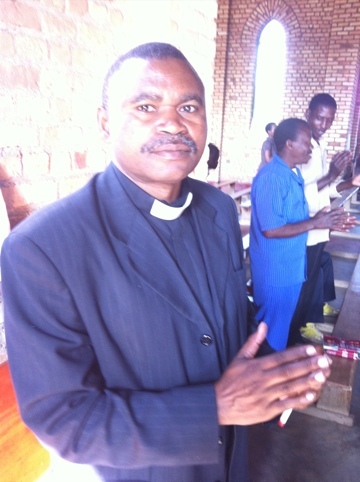 At the end of the sermon, I gave an altar call in which many gave their lives to Jesus and five came forward to receive ministry from Bishop Augustin. 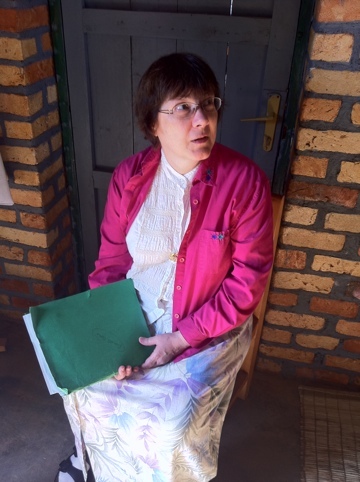 Janice Hird preparing to lead two worship songs at the Sunday Kigeme Cathedral services. 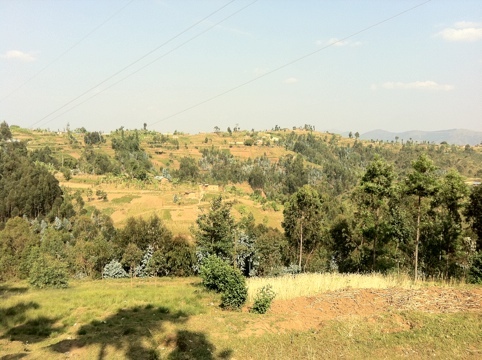 The Rwandan people are eager to work hard at learning English, including singing in English. 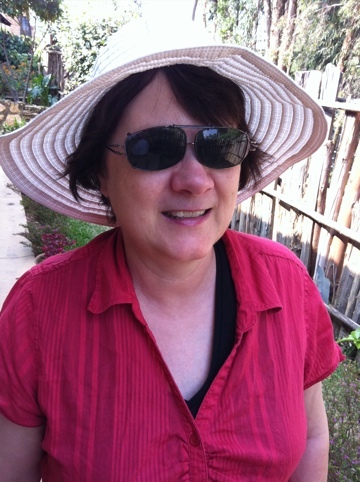 A good sunhat is very helpful in protecting from the strong Rwandan sun. 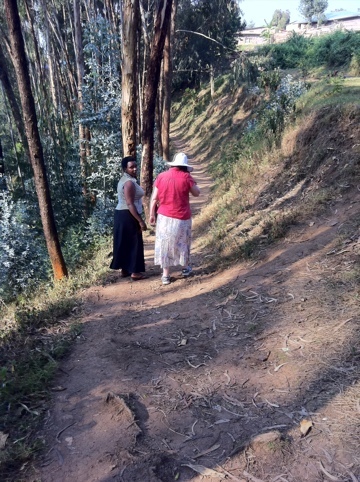 Nadine the Bishop’s niece took us on a tour via an interesting side trail. 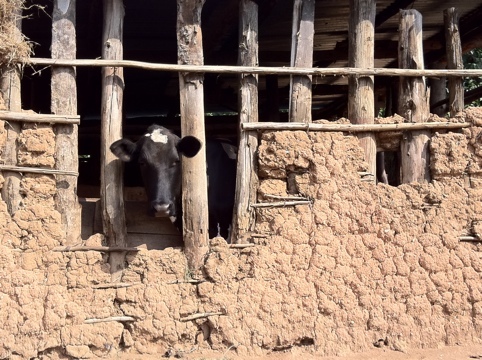 Cows are very valuable in the rebuilding of the Rwandan society. 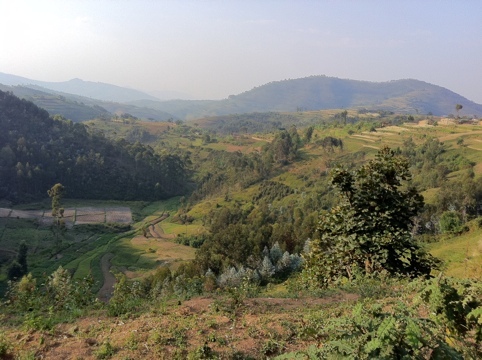 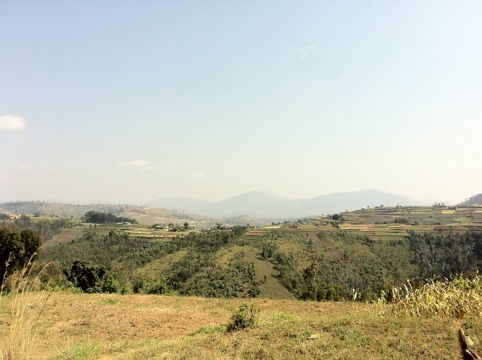 The beauty of Rwandan’s 1000 hills is breathtaking. 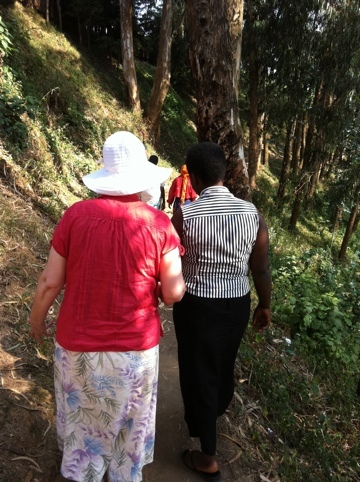 Returning from the Sunday afternoon journey with Nadine. 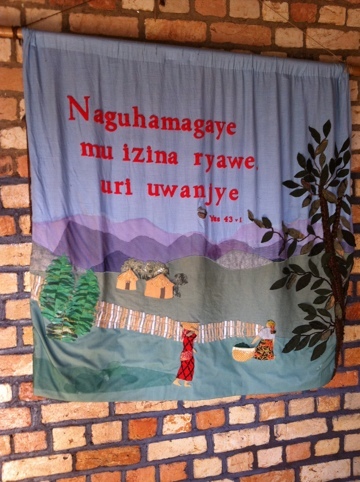 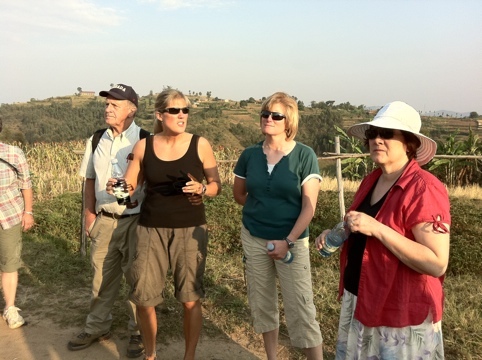 You can click on Kids for Kids to learn more about the Rev Caroline Spence’s outreach to Rwanda. 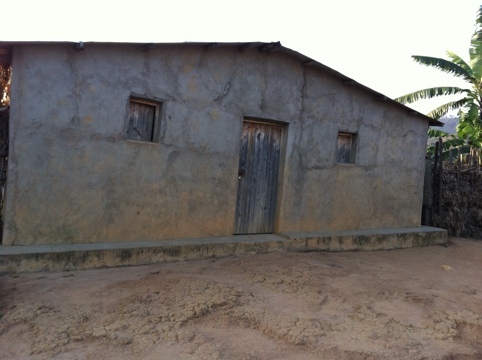 This is the first house that we helped build six years ago for a genocide widow. 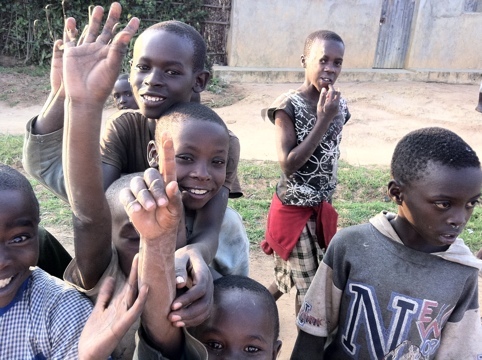 Everywhere you go, you meet lively interested children. 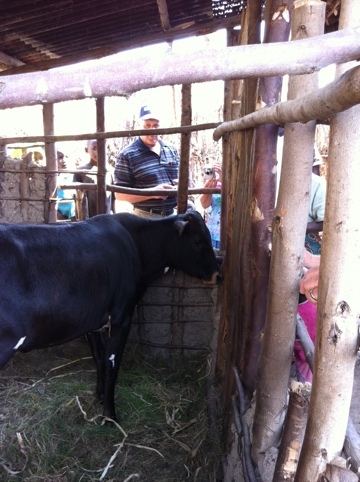 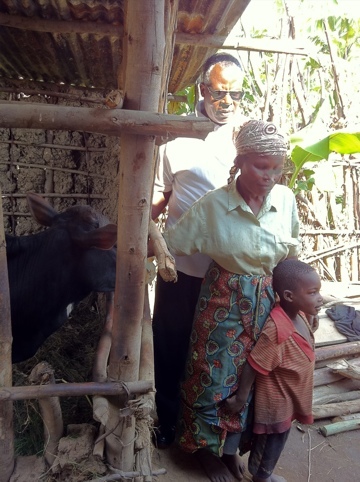 The Pender Harbour Mission team, with the help of some Ontario dairy farmers, donated a needed cow to this Kigeme widow. 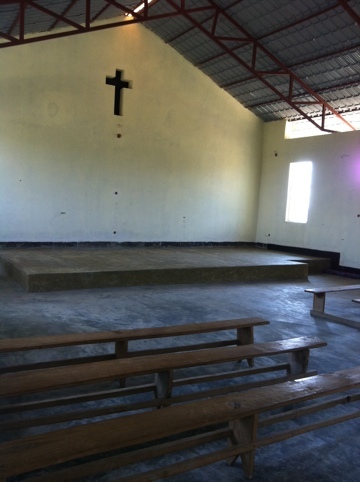 There are already over 200 people attending this Chapel, despite that it only has four benches so far. 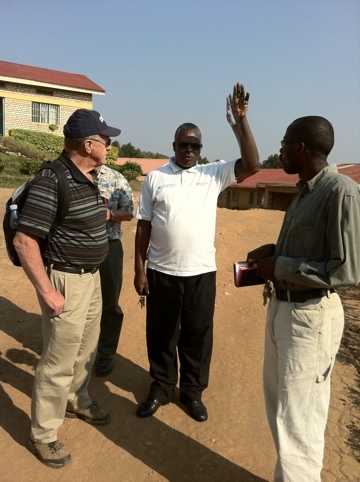 The hunger for the gospel among the Rwandan people is remarkable.